Judging by a job offer that was recently spotted on LinkedIn, Nokia is already working on a Windows Phone handset equipped with a PureView camera - a camera that is likely similar to the one found inside the Nokia 808 PureView. A senior specialist in imaging algorithms is the kind of employee that is needed, and Tampere, Finland, is where he or she will be working. 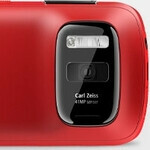 Have you heard of Nokia 808 PureView? Do you want to take part in creating the next chapter in Nokia's Windows Phone devices? Do you want to be a part of a team in charge of developing the next big thing related to imaging and camera? If yes, this is your opportunity to join our world-class team! Of course, don't go popping those champagne bottles just yet as it will likely take quite a while before such a smartphone materializes, if it ever sees the light of day. Chances are that Windows Phone Apollo, a.k.a. Windows Phone 8, will need to arrive first as the current 7.5 Mango version might not be ready to handle the PureView technology and those extra megapixels. That said, a Windows Phone smartphone with a PureView camera should not be expected to land before the late months of this year. Nevertheless, we will be looking forward to checking it out when it eventually launches. How about you? pureivew with apollo and nokia design will be 'the combination'. Take everything the 808 has and put it in a Lumia 900, and I'm in. This would be quite a phone if NOKIA could bring it off. In already in love with the 808 and the Galaxy Note 1717. Wow-out those together in the same pocket and let nature take its course.